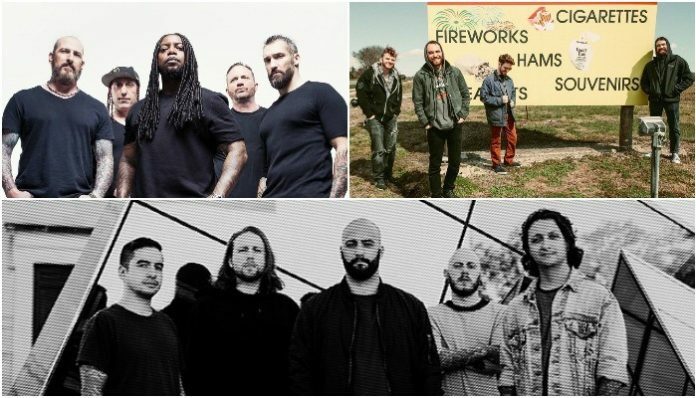 Sevendust announce first U.K. tour in seven years, and Save Face team up with the Trevor Project. Watch a new music video from Fit For A King—plus, don’t miss Sevendust on tour. Check out the news you might have missed today below! Serving as the second single from their upcoming album Neon, “Breach” has finally arrived. With catchy riffs and a breakdown with enough muscle and heaviness that could kill ya, Erra’s newest song is available for download here. You can preorder Neon here. UK – We are coming back!! So happy to announce this tour with our friends in @allthatremains! After seven long years, Sevendust are set to embark on a U.K. tour this winter with All That Remains. The tour will also offer meet-and-greets. You can see a full list of dates below. Tickets for the tour will be available this Friday (July 13) here. Featuring imagery of fire and protest sentiments, Fit For A King’s song “The Price Of Agony” got a brand-new music video. From their upcoming LP Dark Skies “The Price of Agony’’ has a political rhetoric that serves as a reflection of modern-day government. You can preorder Dark Skies here. From their upcoming debut album, Neverkept just dropped a new music video for their song “Vertigo.” With a retro-esque color palette, the video explores the concept of stepping out of your comfort zone, finding adventure and escaping life’s biggest roadblocks. All money is getting matched by @epitaphrecords & donated to @TrevorProject!!! New Jersey rock band Save Face just released their 14-track album Merci. Epitaph Records announced that they will be matching the sales on Save Face’s newest record and then donating it to the Trevor Project. The Trevor Project focuses on crisis intervention and suicide prevention of LGBT youth. You can download your copy of Merci here. We hitting the road this fall with @SLAVESOFFICIAL this fall! VIP Tickets are now available at https://t.co/gJC3SrfYM1. Escape the Fate And Slaves are set to embark on the Beautiful Human Tour, a 31-date tour across North America. The two bands will also be joined by Famous Last Words, Picturesque and Set To Stun. “I can’t wait to share our new record with our fans with a full set. Do not miss this one,” says Escape The Fate vocalist Craig Mabbitt. View the full list of dates below. You can pick up your tickets this Friday (July 13) here.